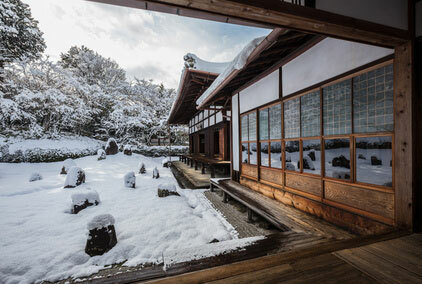 Tōfuku-ji is the head temple of the Tōfukuji branch of Rinzai Zen Buddhism. It was founded in 1236 by priest Enni on the instructions of statesman Kujo Michiie. 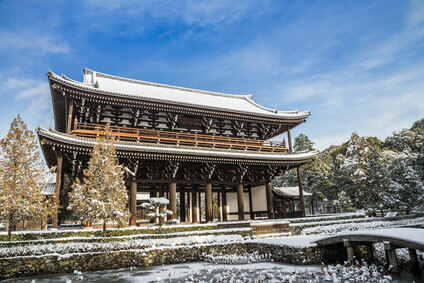 The temple's name is an association of Nara's two main temples, the Tōdai-ji (東大寺) and Kōfuku-ji (興福寺). 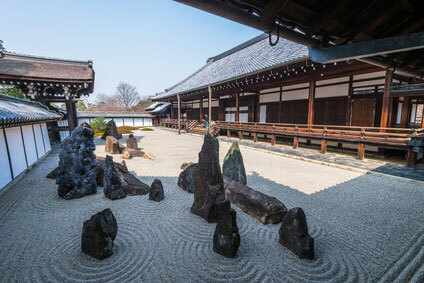 Tōfuku-ji is one of the so-called Kyōto Gozan (京都五山) or "five great Zen temples of Kyōto", along with the Tenryūji, Shōkokuji, Kenninji, and Manjuji, with Nanzenji presiding as the head temple. Tōfuku-ji was destroyed by fires in 1319, 1334 and 1336, and other buildings were reconstructed more recently, like the Abbot's Hall (Hōjō) in 1890. The colossal 22m high San-mon Gate is the largest Zen temple gate in Japan. It was built in 1425 and entirely disassembled, repaired and reconstructed from 1969 to 1978 at the cost of 2.5 million dollar. Walking around the complex of Tōfuku-ji is free, although the gardens and Tsuten-kyō (通天橋 "Bridge to Heaven") require an entrance fee. 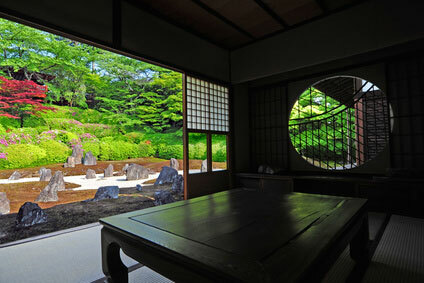 The beautiful zen gardens are definitely worth the ￥300 admission. The bridge is especially attractive in autumn when the momiji (Japanese maples) leaves turn red, orange and yellow. Note that two other nearby bridges can be crossed for free. The first one is where most visitors come from, but the entrance to the second is hidden behind the Abbot's Hall. The temple is open all year round from 8:30 am (from 9:00 am from October to April) to 4:30 pm (until 4:00 pm from December to March). 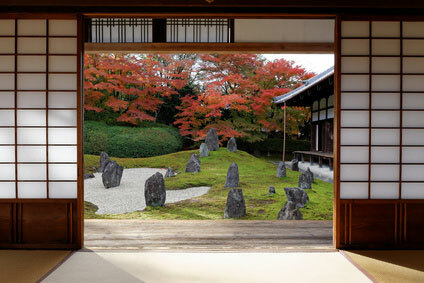 Admission is ￥400 for the Tsutenkyo Bridge and Kaisandō Hall, and another ¥400 for the Hōjō and gardens. Bus 208 from Kyōto station stops at Tōfukuji-mae. From there it is a five-minute walk to reach San-mon Gate and the Abbot's Hall. Try to follow other tourists as it is easy to get lost in the small alleys among minor temples of the Tōfukuji complex. Tōfuku-ji can also be accessed by train, on the JR Nara line from Kyōto station (1 stop), or the Keihan line from Sanjō station (3 stops).